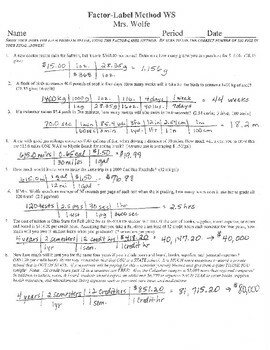 Need a couple of worksheets that ask students to do basic dimensional analysis? These will really make students THINK. (There's no chemistry in these worksheets. No grams-moles-molecules conversions just yet. These worksheets are for teaching the method). This product is in WORD format, so it is easily edited. It includes a detailed answer key.